Your next Lesson in Trump MMA goes a little like this; if Donald Trump wins the 2016 election, morphs into a giant dinosaur, attacks a pro wrestling event in Arizona, then the only way he can be stopped is if a team of MMA All-Stars set aside their differences for the greater good. This makes so much sense. In Puscifer’s new music video for their song “THE ARSONIST” Donald Trump wrecks havoc on downtown Phoenix until the MMA”s Justice League signal is shot into the air. 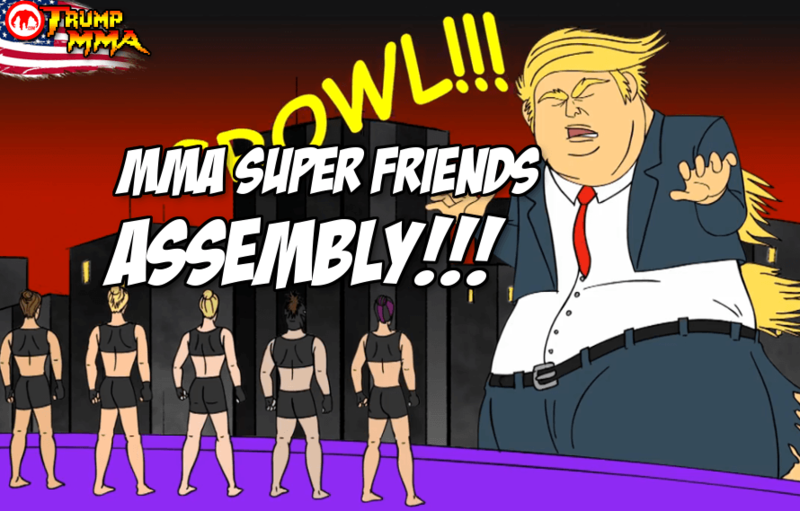 Ronda Rousey’s judo throws, Cat Zingano’s knees of doom, Holly Holm’s head kicks and Cris Cyborg being Cris Cyborg are the only way to stop the giant monster Trumpzilla. Thanks for saving the world MMA.